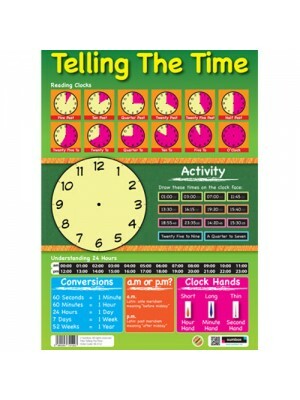 This is an original Sumbox educational poster for children. It shows shapes in both 2D & 3D. 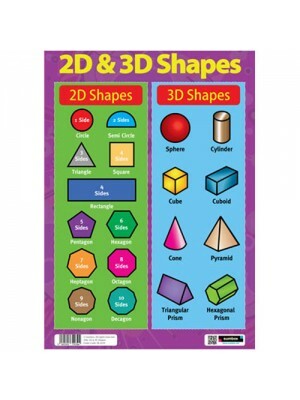 Shapes with 1 to 10 sides are shown in 2D and 8 different shapes are shown in 3D. All are labelled with their names. Regular revision from this poster wi.. 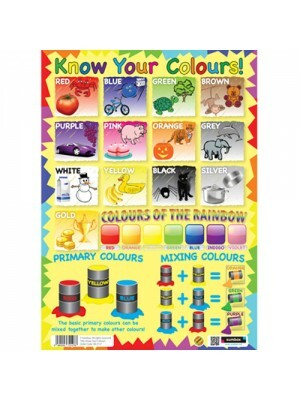 This is an original Sumbox educational poster for children. 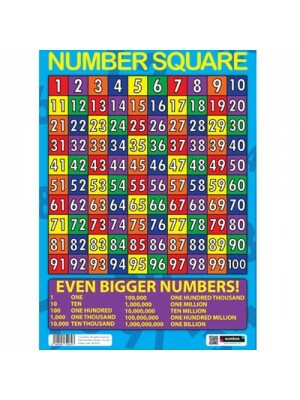 The Sumbox Number Square poster displays a multi coloured grid with the numbers 1 to 100, everything kids need to learn! 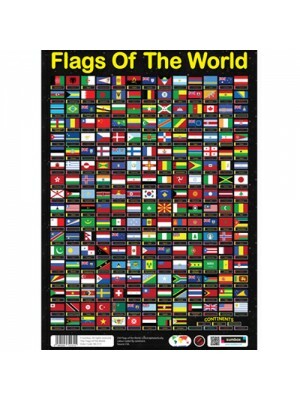 Also at the bottom of the poster there is a even bigger numbers secti.. 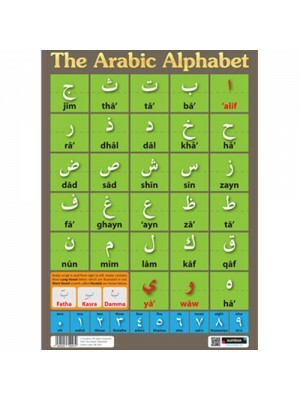 This is an original Sumbox educational poster for children. 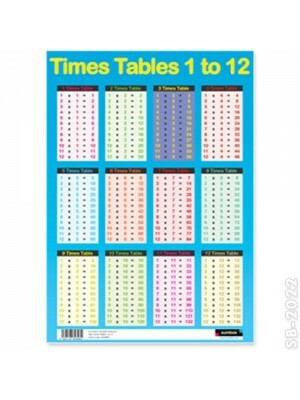 It shows the times tables from 1 to 12, an essential for kids of many ages to learn. 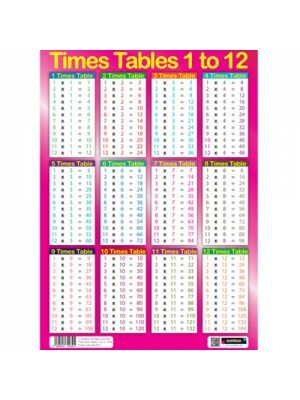 Regular revision from this poster will aid memorisation and understanding of times tables. Clear text lai.. 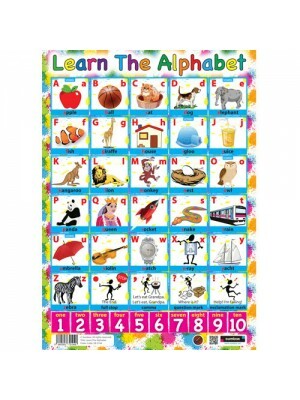 This is an original Sumbox educational poster for children. 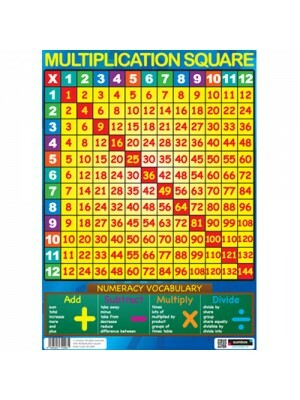 The Sumbox Multiplication Square poster displays a multi coloured grid with times tables from 1 to 12, everything kids need to learn! Also at the bottom of the poster there is a numeracy voc.. 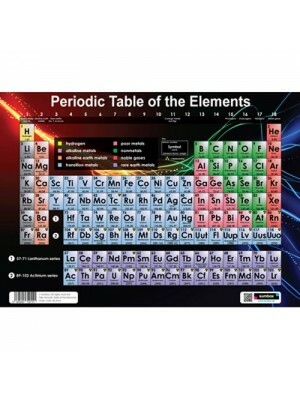 This is an original Sumbox educational poster displaying the full Periodic Table Of Elements. 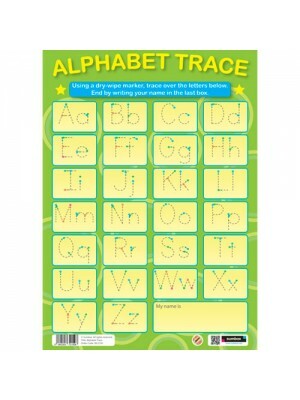 It is designed in high detail by experts. 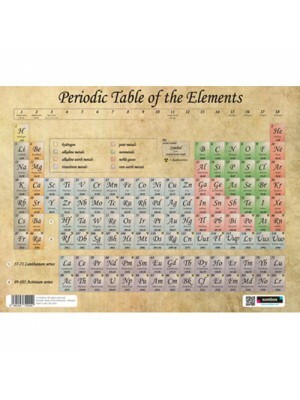 It shows 118 elements all colour coded with their correct atomic number, symbol, name and standard atomic weight. ..